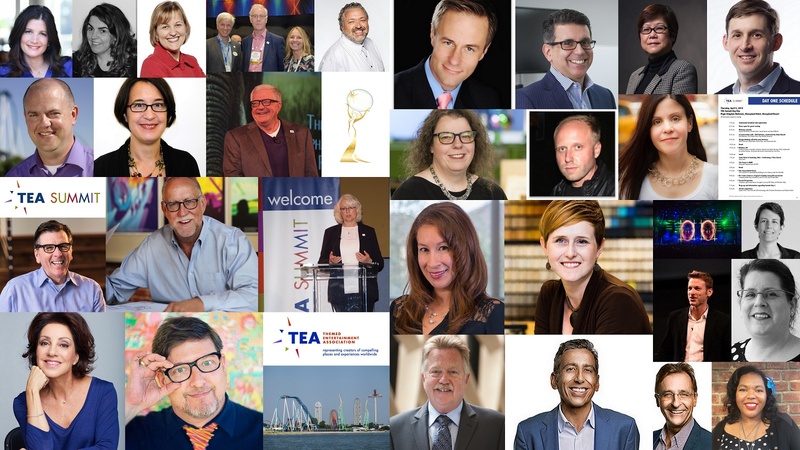 Taken together, the TEA Summit and Thea Awards Gala are one big weekend of professional development, networking, education and celebration, revolving around the current slate of TEA Thea Awards recipients. This big weekend of events is headlined by the best of the global themed entertainment business - industry superstars, creative and tech pioneers, and top projects all leading the way for international tourism and real estate development. 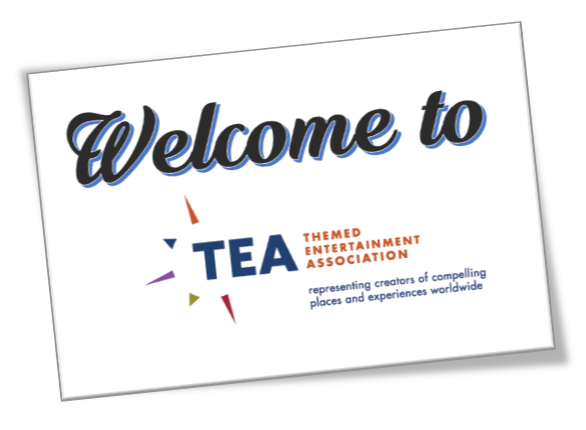 TEA Summit Day One addresses business issues and trends in the visitor attractions industry and celebrates the headline Thea Awards recipients. Co-chairs: Christine Kerr, Joanna del Moral, Steve Birket and Kile Ozier. 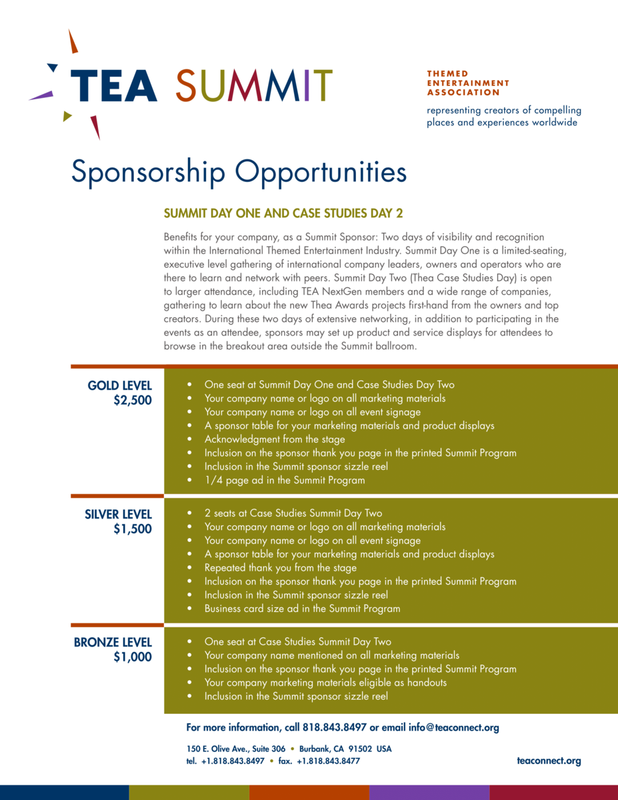 SCROLL DOWN FOR TEA SUMMIT DAY ONE PROGRAM AND SPEAKER DETAILS. TEA Thea Case Studies Day (TEA Summit Day Two - April 6) showcases the Thea Awards recipients being honored the following evening at the Gala. The Thea Awards Gala (April 7) is an elegant, black-tie dinner affair celebrating excellence, creativity and innovation. 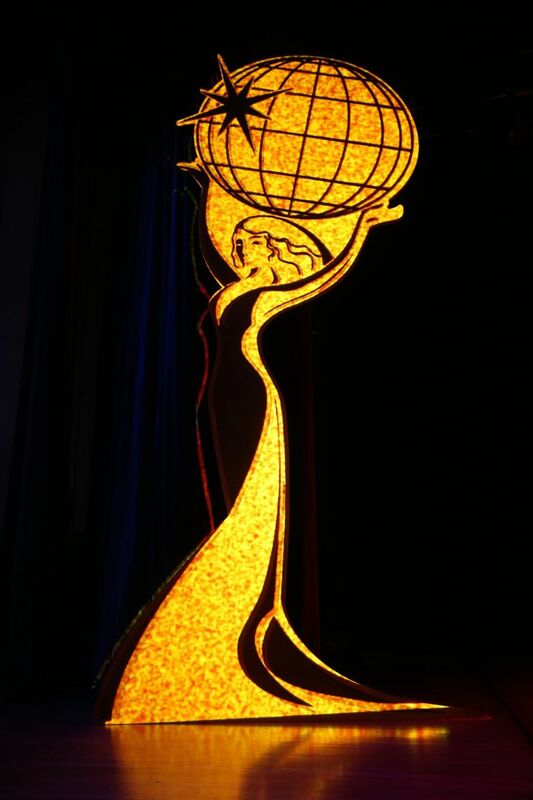 TEA's annual Thea Awards are considered the highest honor of the themed entertainment industry, and the Thea recipients for 2018 span the globe. Phil Hettema, founder of The Hettema Group, is the 2018 recipient of the Buzz Price Thea Award for a Lifetime of Distinguished Achievements. Phil will use the experience gathered throughout his impressive 40-year career to expand on his contention that stories are the way we understand the world and that storytelling is at the root of all great experiences, because it provides context for understanding. We’ll also learn about how Phil’s career has influenced his approach to work and his perspective on the industry as a whole. Our Conversation curator is Adam Bezark of The Bezark Company, TEA Thea Awards Committee Chair. Freeman is a world leader in the creation of immersive brand experiences. The speakers, representing Freeman’s Design Leadership Council and a recently acquired business, BaAM Productions, will share insights on using design as a central, strategic driver of business rather than a separate function. 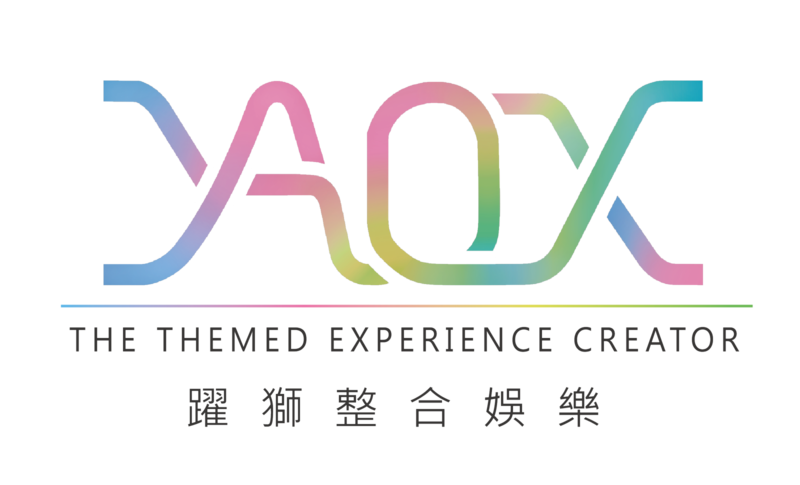 This provocative session will connect the dots between experiential marketing and themed entertainment. 2017 ushered in a cultural tsunami that permeated almost every industry and lifted the curtain on inequitable, unhealthy and even illegal practices that have lingered far too long in our corporate and societal cultures. What are the implications of these watershed moments to our industry? What are our immediate and practical responsibilities, and what is the path forward? "Blinders Off" strives to offer a candid, clear, and positive look at gender inclusion through the lens of themed entertainment. Moderated keynote: Valorie Kondos Field with Cynthia Sharpe, followed by panel discussion with Katherine Barauna Dixon, Kaywin Feldman, Wendy Heimann-Nunes, Bryan Hinckley, Zoe Shelmerdine and Jill Wu, co-moderated by Traci Klainer and Clara Rice. From simple beginnings in 1870, Cedar Point grew to be a complete, world-class entertainment destination, a mecca for thrill-seekers and families alike. 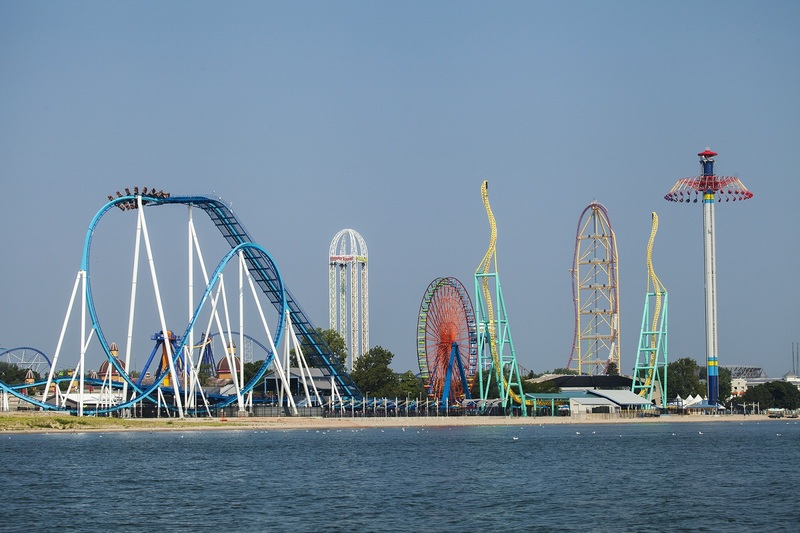 Cedar Point is a unique, American amusement park and resort paradise. Its mix of great rides and attractions, live shows, special events, food and hospitality, its famous beach and boardwalk and its history make it a place like no other. The Thea Classic Award honors an attraction or property that has stood the test of time – 25 years or longer. Speaker: Tony Clark, Cedar Point director of communications. We live in a world of change, today possibly more so than ever. ‘The Future is Now’ will take you out of your daily thinking into a broader sphere of longer term strategy where global innovative changes are likely to impact our lives, those of our children and the future of our attractions. By looking at a series of disruptors from completely different industries, this presentation looks at some major trends and developments that may seem like far-fetched futurology but are closer to being history than you might think. A fast-action, dynamic game experience that will likely both surprise and enlighten, presented by Mk Haley and Michael Libby. So just how much do we know about the force of sustainability in our theme parks and entertainment venues? Jim Scheidel of Cuningham Group Architecture will give you the backstory of how creators and designers are embracing sustainability. 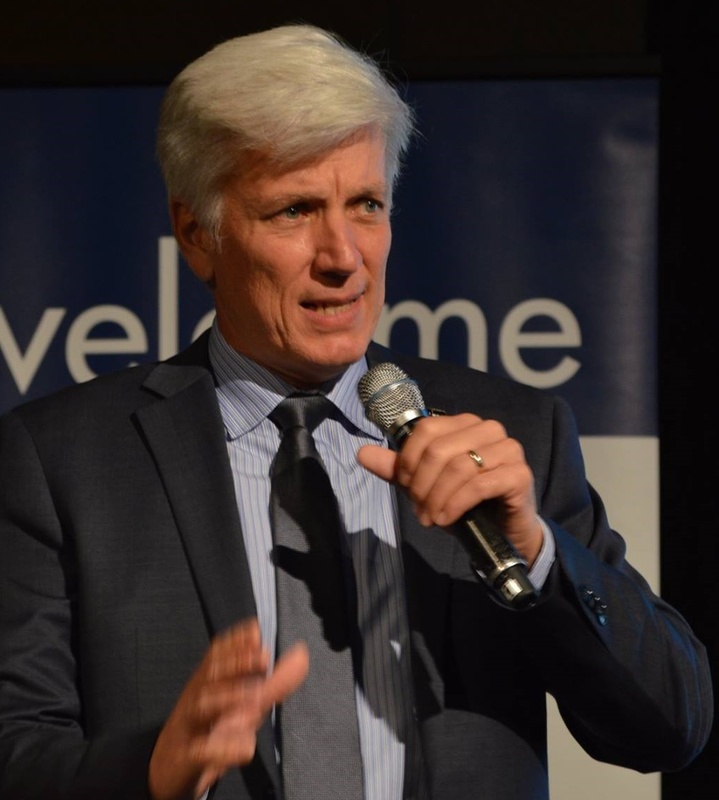 Founder of TESS®, the Themed Entertainment Sustainability Summit, Jim has been championing the dialog of sustainability and entertainment for over 10 years. He will share highlights from past TESS programs showing the evolution of sustainability thinking in our industry and the positive impacts for our planet. What makes for a successful company transition? How do we balance cultural evolution, taste change and divergent goals while preserving necessary culture? Do we want to preserve culture or is it a dynamic phenomenon? This segment thoughtfully considers the motivations, responsibilities and pitfalls in company leadership transitions. Panelists Al Cross of PGAV Destinations and Michael Blau of Adirondack Studios have the stories to tell. 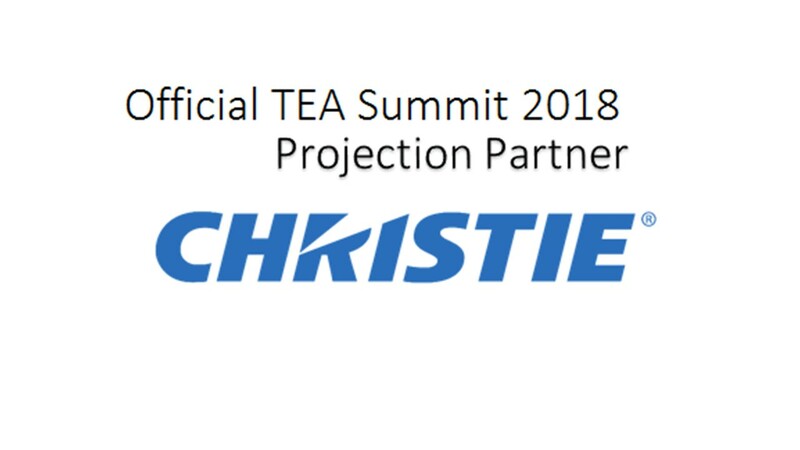 3D Live LED technology is being recognized with a TEA Thea Award. Presenters: Christian Dieckmann and Nathan Huber of 3D Live. Phil Hettema, Founder, The Hettema Group (THG) - With 30+ years in themed entertainment, Phil leads THG’s world-class creative team in the design and production of uniquely compelling guest experiences. Notable projects include One World Observatory (New York City), High Roller observation wheel (Las Vegas) and Beyond All Boundaries at the National World War II Museum (New Orleans). Prior to forming THG, Phil was SVP of Attraction Development for Universal Creative. During his 14 years there, he oversaw attraction planning for all five Universal Studios parks. Phil has lectured at TEDx, Carnegie Mellon University, USITT, IAAPA, KIN, ICOM and SIGGRAPH. He holds four patents for entertainment technology, and his project awards include six TEA Thea Awards. 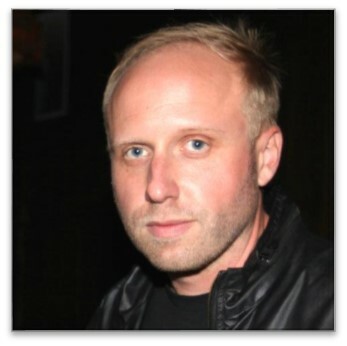 Adam Bezark, president and creative director of The Bezark Company, Inc. - The Bezark Company is a Los Angeles creative studio dedicated to high end immersive experiences: rides and attractions, live entertainment and spectacular events, visitor exhibits, and specialty media. Bezark is credited with key creative roles on numerous attractions such as Epcot’s Illuminations; Terminator 2: 3D; Jurassic Park The Ride; JAWS The Ride; The Amazing Adventures of Spider-Man; and the new Pirates of the Caribbean: Battle for the Sunken Treasure ride at Shanghai Disneyland. The Bezark team is currently engaged on major new projects in the USA, Asia and the Middle East. Adam currently chairs the TEA Thea Awards Committee. 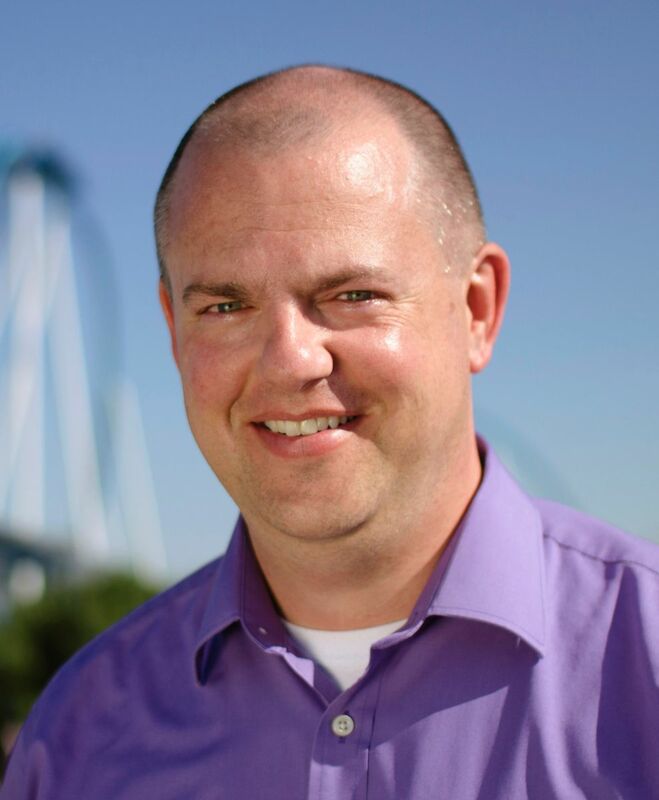 Tony Clark, director of communications, Cedar Point, is directly responsible for the park’s guest-facing communications, including social media channels, owned websites, digital signage, media relations, crisis communications and guest response. He is also directly involved with new attraction planning & introduction, park communications strategic planning and cross-functional team management. With time spent in both television news and commercial radio, along with amusement park public relations and communications, Tony has more than 17 years of combined experience in these fields. Tony is an avid theme park industry fan and loves to travel to experience everything they have to offer. 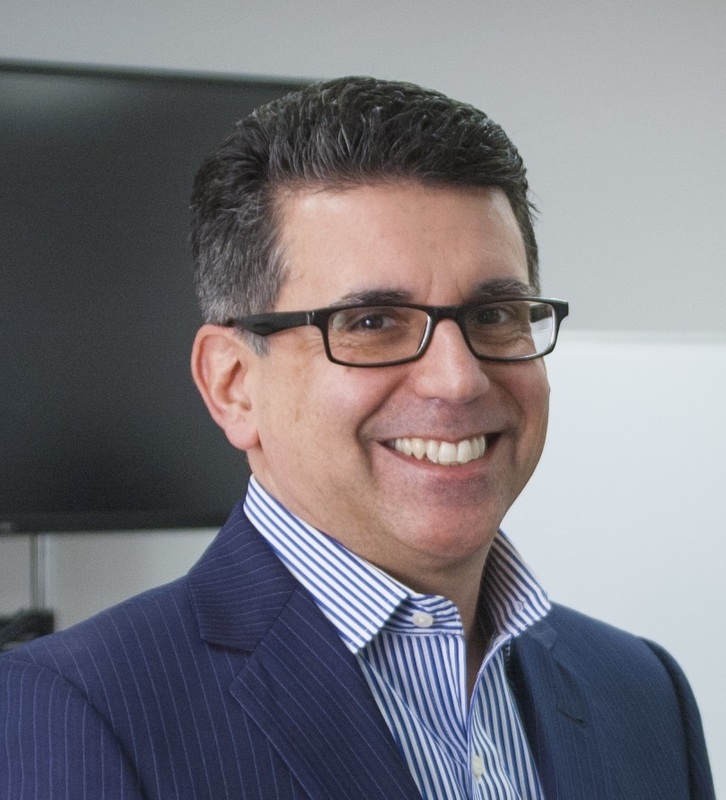 Haluk Kulin - senior vice president, strategy data, Freeman - At FreemanXP, Haluk works with strategy, creative, digital and marketing teams to build trust and value through data. Haluk’s experience includes more than a decade at Unilever, where he tapped his considerable knowledge of strategy, marketing and consumer insights to develop some of its most successful brands. 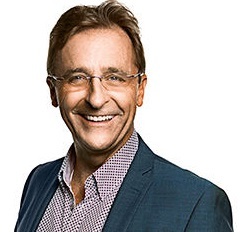 In 2009, he launched Personal BlackBox, a for-profit social enterprise that pioneers new ways to deliver trust and responsibility for companies wishing to help their customers unlock the full potential and value of their data. Haluk is a member of the Freeman Design Leadership Council. 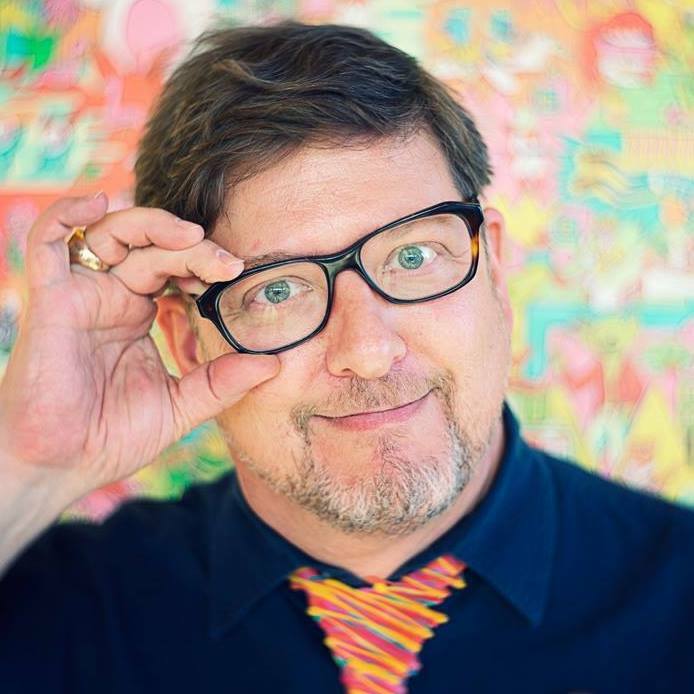 Peter McGrath, senior vice president, creative, Freeman - Peter provides creative development and leadership across all facets of Freeman creative design including idea generation, talent development, concept design, creative direction, and experience design. 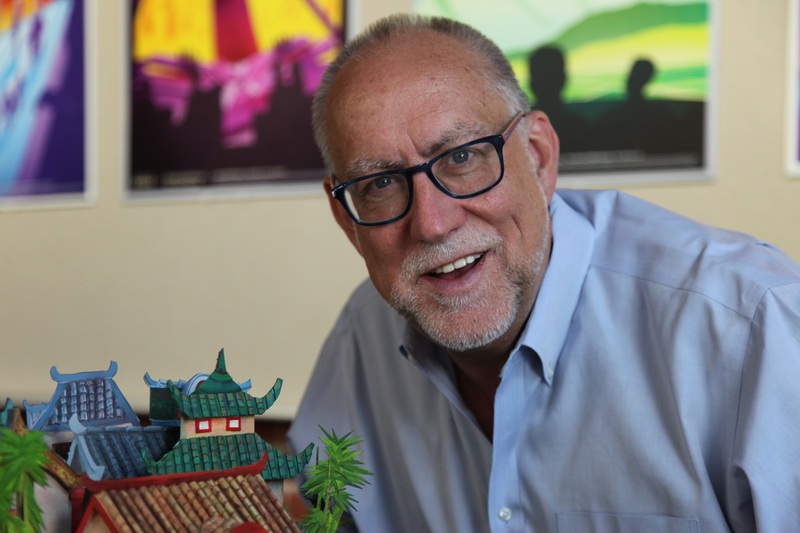 Prior to joining Freeman, Peter spent 25+ years as a creative leader at The Walt Disney Company, most recently as Executive of Creative Development for the Creative Studio of Walt Disney Imagineering, the creative division of Walt Disney Parks and Resorts. Peter’s creative and design influence can be seen throughout the Walt Disney Parks and Resorts globally, including Anaheim, Orlando, Paris, Tokyo, Hong Kong and most recently Shanghai. Annemarie Roe, president of BaAM Productions, a Freeman company - BaAM is a design-driven production company, specializing in the sports and entertainment vertical. Under Annemarie’s guidance, BaAM has become a leader in the design, development, and production of world-class entertainment and events. Her team is trusted by some of the biggest names in sports and entertainment to create incredible experiences for fans around the world. Clients include the National Hockey League, Major League Baseball, Major Series of Putting, Invictus Games, and IMG Live. Margreet Papamichael, economics director, AECOM – A specialist in economics with a focus on themed entertainment, Margreet has 20+ years of consulting experience in the leisure and tourism, real estate and hotel sectors. With AECOM, Margreet has consulted in Europe, Middle East, India and Africa, working with top visitor attractions and leading organizations. Margreet is also part of AECOM’s research team for the annual TEA/AECOM Theme Index. As many of her assignments look far ahead in the future, she believes that it is vital to be aware of changes that will harbor change in the wider world and the themed entertainment industry. 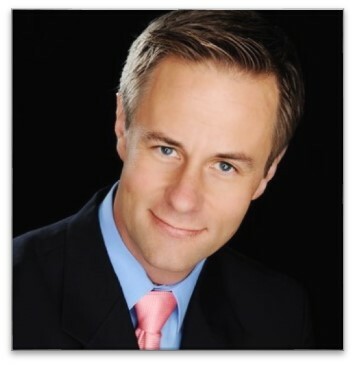 Christian Dieckmann, chief strategy officer, 3D Live - Prior to joining 3D Live, Christian led strategic growth for Cedar Fair, an operator of 11 regional amusement parks. As part of this role, he led the company’s efforts at the intersection of technology and entertainment. 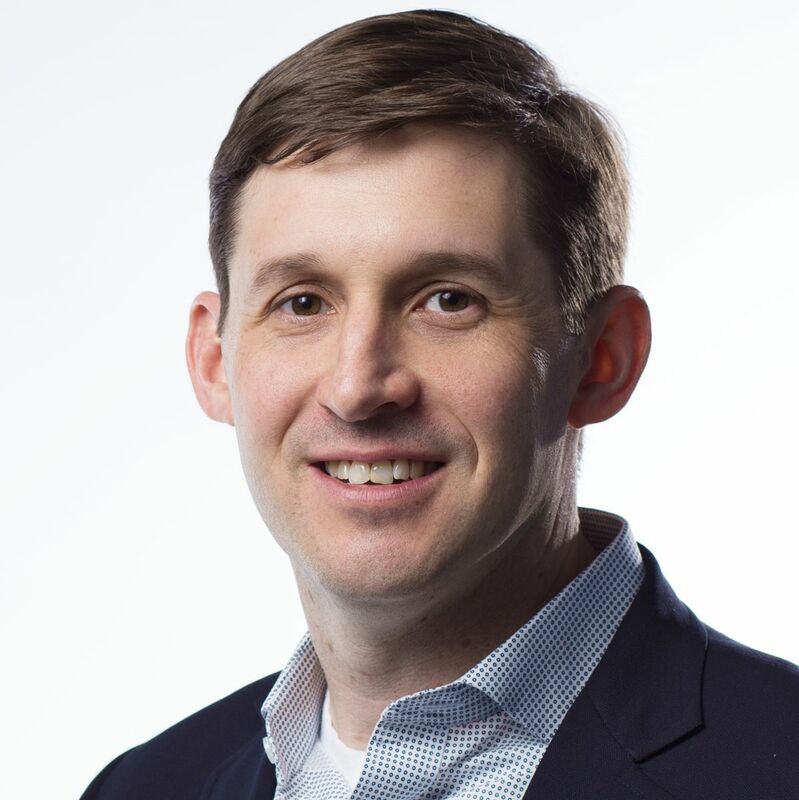 Christian’s prior experience includes Bain & Company, where he advised clients on strategy, operations and commercial due diligence, and multiple roles with GE Capital in the United States and abroad. He received his MBA from the Wharton School along with an MA in international studies from UPENN and completed his undergraduate degree at Boston College. 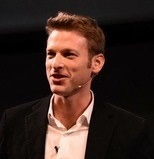 Nathan Huber, co-founder and CEO, 3D Live – 3D Live is pioneering the future of large-scale immersive entertainment with its "holographic" 3D LED screens. Nathan earned widespread acclaim for creating the first ever 3D virtual environments for live music performances, touring with the band Primus in 2012. Since then, Nathan has grown the company to cover live events, theme parks and cinema, while establishing long-term partnerships with leading entertainment and technology companies including Dell, Cedar Fair, HTC and AMD. His prior work experience includes roles in general production and 3D at Discovery Channel, Warner Brothers and Lightstorm Entertainment. Blinders Off and Forced Perspective are ELEPHANTS IN THE ROOM sessions, co-chaired by TEA past president Steve Birket of Birket Engineering, and Kile Ozier. The “Elephants” sessions are designed to challenge us to consider topics we aren’t comfortable talking about. 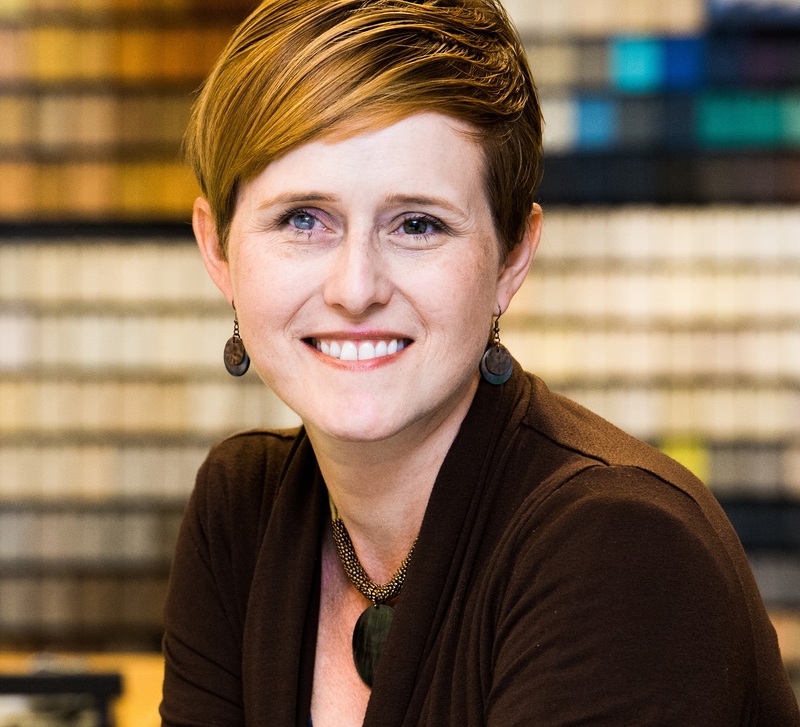 Katherine Barauna Dixon, show set designer, American Scenic – Katherine has a background in production and mechanical engineering. She is the founding president of TEA@SCAD. She joined the industry after graduating from SCAD’s pilot Themed Entertainment Design Master’s Program as a project management intern with Walt Disney Imagineering. Since then, she has amazing opportunities to work on projects with companies including Universal Creative, Ferrari World, FOX, and Carnival Cruises. Kaywin Feldman, director of the Minneapolis Institute of Art (Mia) – Feldman has been with Mia, one of America’s largest art museums, since 2008. During Feldman’s tenure, Mia’s attendance has doubled, with expanded programs and ambitious special exhibitions. She has championed the use of digital technologies to support and enhance audience engagement; diversified staff, audience, and board; and strategically acquired major collections and works of art for the collection. She is a past president of both the Association of Art Museum Directors (AAMD) and the American Alliance of Museums (AAM). Valorie Kondos Field, head coach of the six-time NCAA Champion, UCLA Women’s Gymnastics team was recently named the Pac-12 Coach of the Century. “Miss Val” began her career as a professional ballet dancer and choreographer, leading to nearly three decades of coaching one of the premier athletic programs in any sport. An IAAPA “Big E” winner, she has created numerous shows for SeaWorld. A recent breast cancer survivor, Miss Val’s discussion of life lessons will soon be told in a motivational and inspirational book entitled “Life is Short, Don’t Wait to Dance,” to be published in the fall. Wendy Heimann-Nunes, founding and managing partner, Nolan Heimann LLP – Nolan Heimann is unique in featuring a practice area dedicated to location-based and immersive entertainment. 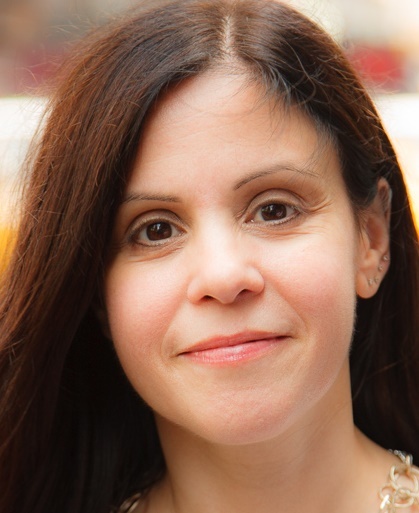 The former talent agent and theatre professional began her legal career with the international law firm Mayer Brown after graduating from The University of Chicago Law School. Later, she headed up Business and Legal Affairs for Universal Creative. 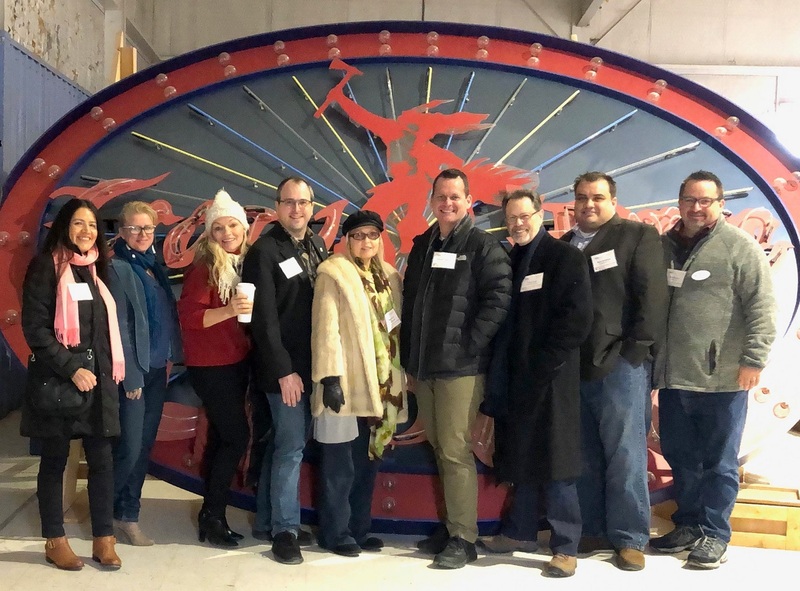 Prior to co-founding Nolan Heimann, Wendy chaired the immersive and location-based entertainment department of the firm Zuber Lawler & Del Duca. She is an active member and pro-bono counsel of the Themed Entertainment Association. Bryan Hinckley, president, Electrosonic USA - An admitted tech geek, Bryan joined Electrosonic in 1999 as a project engineer and subsequently held 10 different titles. Bryan has used his passion for projects at the Los Angeles International Airport, SeaWorld, and Universal Studios, in addition to work in Taiwan, Japan, and the Middle East. Prior to Electrosonic, Bryan worked at Landmark Entertainment Group after graduating from Vanderbilt University with a dual degree in Theater and Engineering. 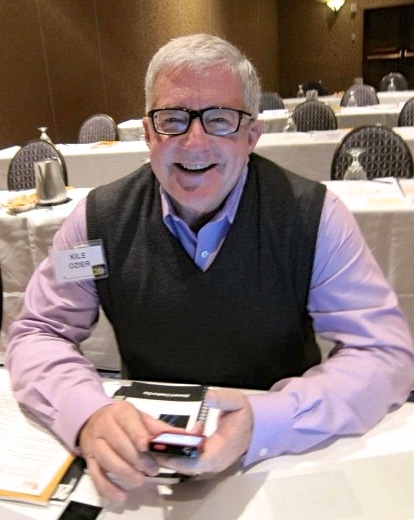 Bryan is a long-time member of the TEA and served as Secretary of the TEA Western Division Board from 2011-2013. Traci Klainer, creative director, SeaWorld Parks & Entertainment, is thrilled to join SeaWorld to work on their new park in Abu Dhabi. Traci is also the founder of Luce Group, a lighting design firm that specializes in exhibit, themed entertainment, and live events. Traci has a parallel reputation for her theatrical lighting design. She is credited with lighting 100+ productions, which have taken her from Broadway to Las Vegas to Scotland and Japan. Her designs have been nominated for a Drama Desk and Lucille Lortel Awards. She is currently second vice president of the TEA International Board and an Advisory Board member of Harriet B’s Daughters. 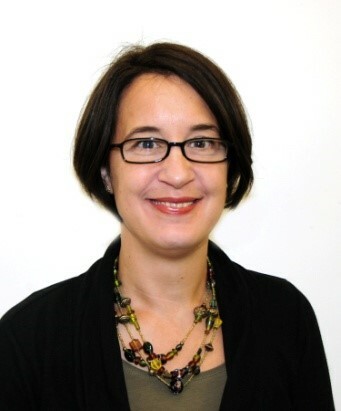 Clara Rice, director of communications, JRA - Clara Rice brings 18 years of theatre, project management, and marketing experience to her work. Prior to joining JRA, Clara served as Associate Executive Director of the Tony Award-winning Cincinnati Playhouse in the Park, and she holds a Master of Fine Arts degree in Theatre Management from Yale School of Drama. 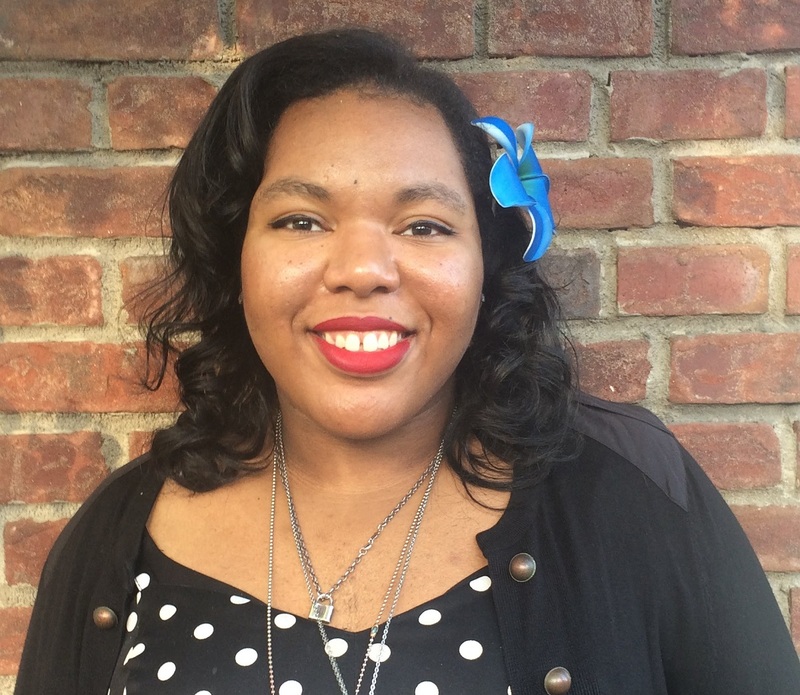 For TEA, Clara serves on the International Board of Directors and is Immediate Past Chair of the NextGen Committee. 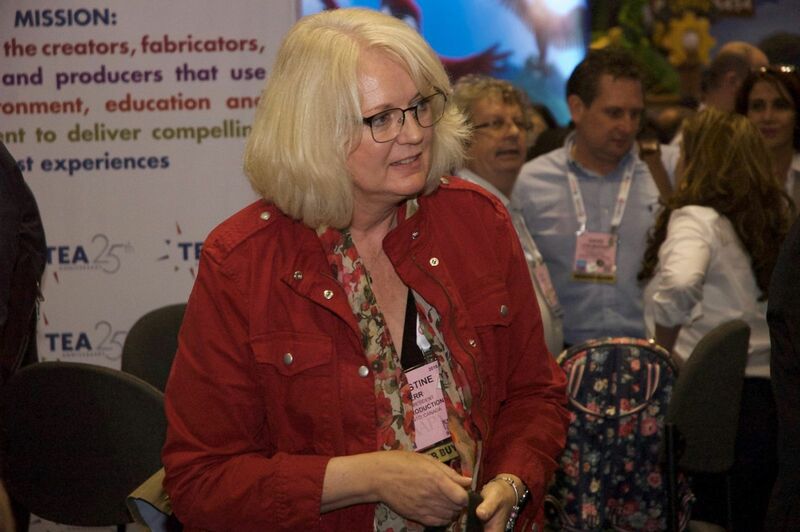 She has produced, moderated, and spoken at numerous events for TEA and IAAPA and is a regular contributor to industry media outlets Blooloop and InPark. 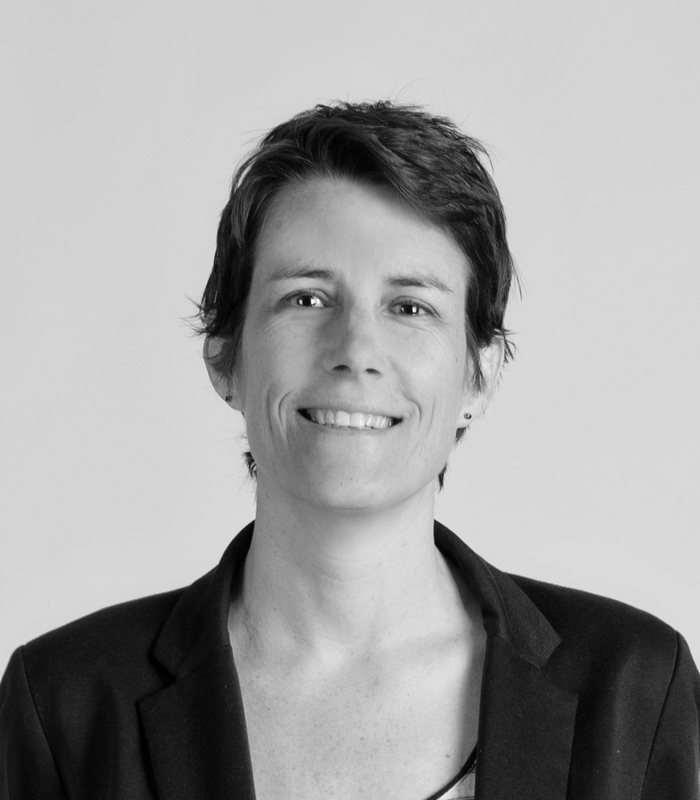 Cynthia Sharpe, principal, cultural attractions and research at Thinkwell Group has over 20 years experience as a creative director, strategic planner, producer, and writer in cultural attractions, theme parks, and live events. Prior to joining Thinkwell Group, she was with the Museum of Science and Industry Chicago, where she fell in love with museums. 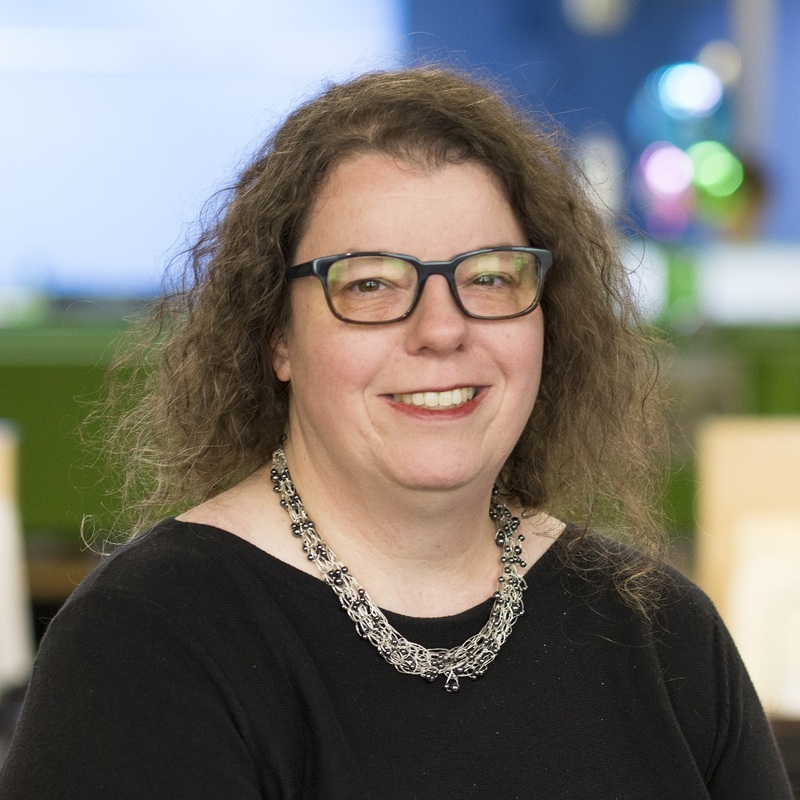 She has spoken extensively on issues around technology, access, innovation, inclusion, and design at IAAPA, ASTC, AAM, and SATE. 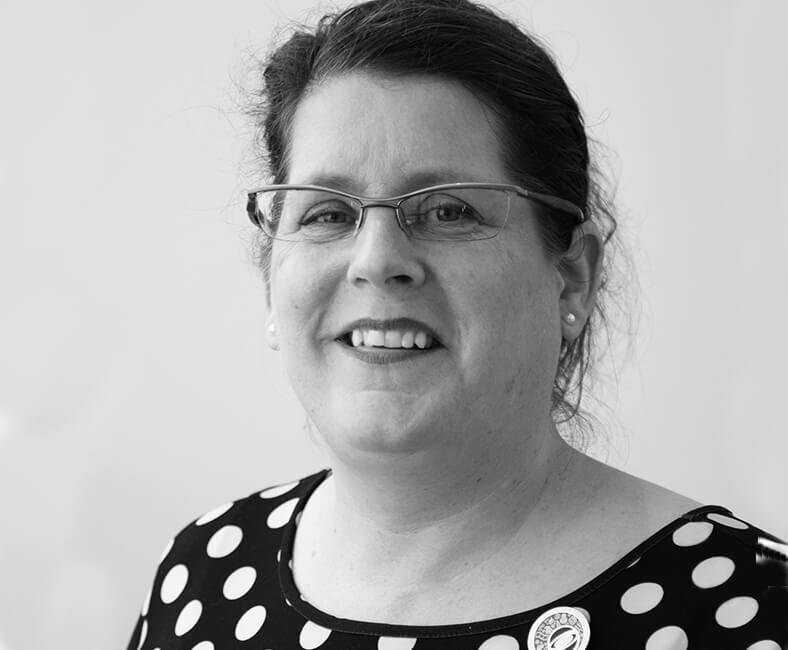 A past member of the IAAPA Museum and Science Center Committee, Cynthia currently serves on the TEA Eastern Board and is a co-founder of Harriet B’s Daughters. 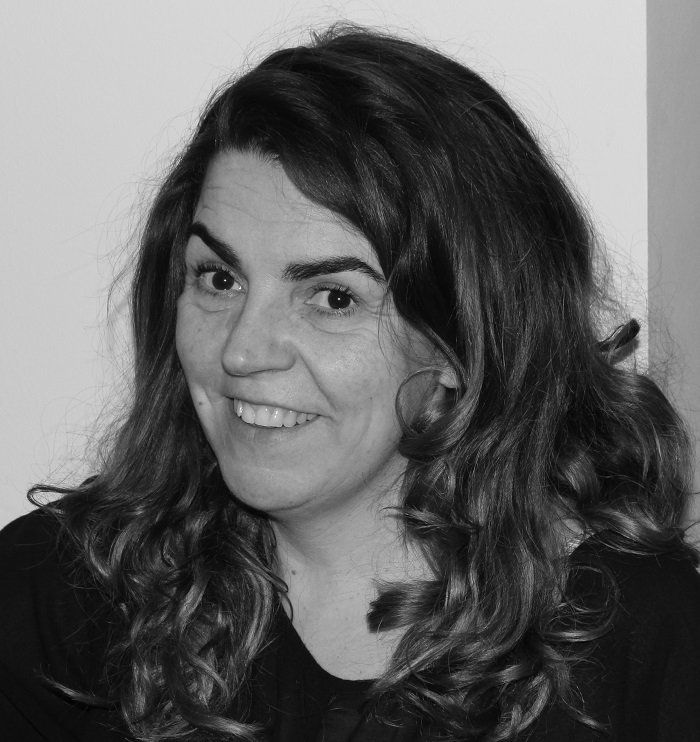 Zoe Shelmerdine, co-owner, Garmendale Engineering - Originally from a sales and marketing background, Zoe joined Garmendale 15 years ago. Garmendale specialises in design, development and delivery of rides and services for the leisure industry and is a specialist welding and mechanical engineering firm. It is a family run company that prides itself on a long history of delivering quality, safety and reliability. Zoe embodies Garmendale’s caring, professional approach to client service and is committed to putting a smile on everybody’s face. Her positive energy is infectious and drives those working for and with Garmendale to excel. She serves on the TEA Europe & Middle East Division Board. 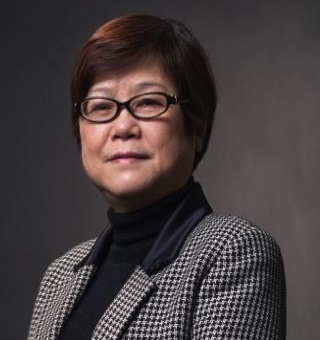 Jill Wu, CEO of YAOX, is a producer with more than 40 years of experience. She has led design teams in Taipei, Shanghai, the United States and elsewhere to work on major themed attractions around the world and was the main producer of the Taiwan Pavilion at the 2010 Shanghai World Expo. In 2018, she is leading the collaboration agreement between YAOX and Tongji Architectural Design Group in Shanghai, China, forming a new creative force in the industry. Jill currently serves on the Asia Pacific Board of the Themed Entertainment Association and is a member of the International Tourism Investment Association. 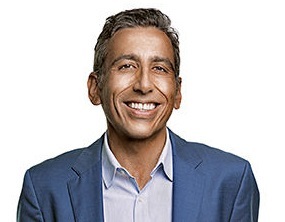 Michael Libby, president & CEO, Worldbuildr - After working in themed entertainment for several years, Michael headed back to school to prepare for the coming digital revolution and its inevitable disruptions of the industry. With an MFA in Interactive Media & Game Design from USC's School of Cinematic Arts, he became an interactive consultant specializing in navigating the tug-of-war between the "anything is possible" affordances of digital design and the hard truths of "real world" attraction operation. His company, Worldbuildr, is an interactive design firm specializing in game design, interactive development, and attraction previsualization. 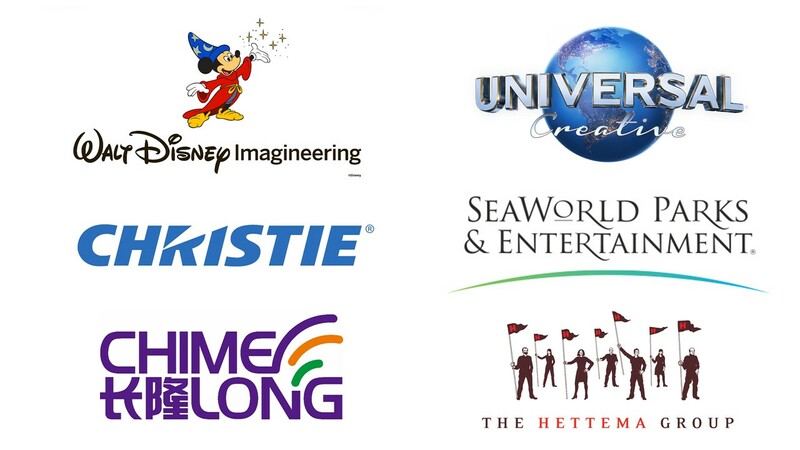 His clients include Walt Disney Imagineering and Thinkwell Group. Mk Haley, Walt Disney Imagineering – Since 1994 Mk has been with WDI in technical and creative roles with the Virtual Reality teams, R&D, Special FX, Show Quality Services, Disney Research and the Creatives teams. She has a BFA and an MFA in Computer Animation and VR. 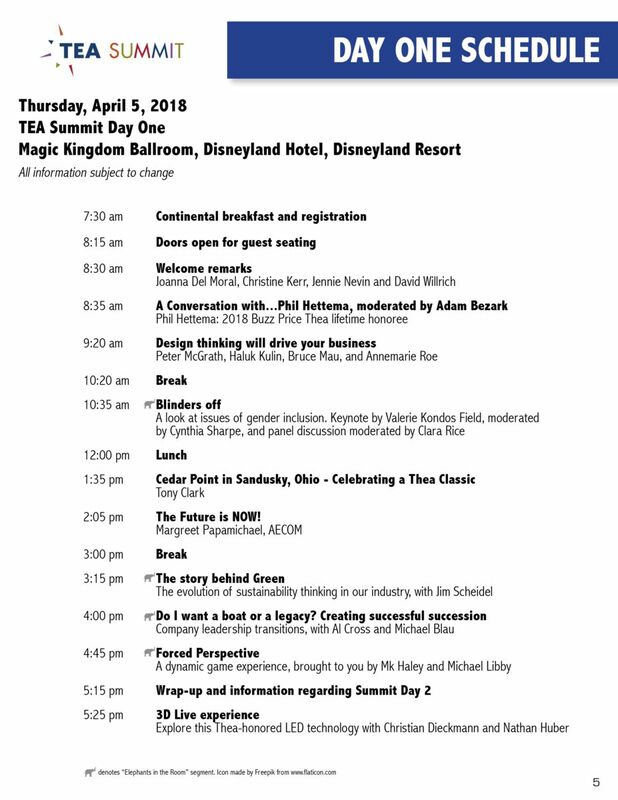 Mk has been an educator for 25 years with several University programs, including the Imagineering – UCLA partnership in Themed Entertainment Design, Faculty at ETC Carnegie Mellon, and currently at Florida State University as part of the Themed Entertainment Institute initiative. She has 25+ years of service to ACM SIGGRAPH, and contributes to TEA conferences and educational initiatives. 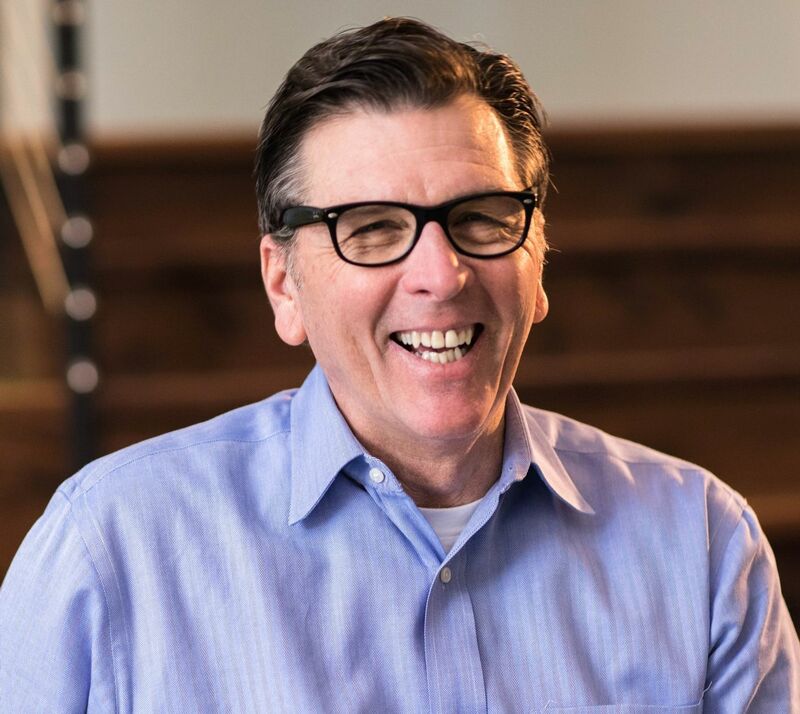 Jim Scheidel, chairman of the Board, Cuningham Group Architecture - Jim Scheidel has 30+ years’ experience in architecture and is the principal responsible for transforming design into reality. Jim’s years of experience and design insights have been the guiding force on numerous theme park, entertainment, and leisure projects. His thoughtful leadership has helped shape the steady and measured growth of the firm. Jim is the founder of the Themed Entertainment Sustainability Summit® (TESS®) and has been instrumental in its success. 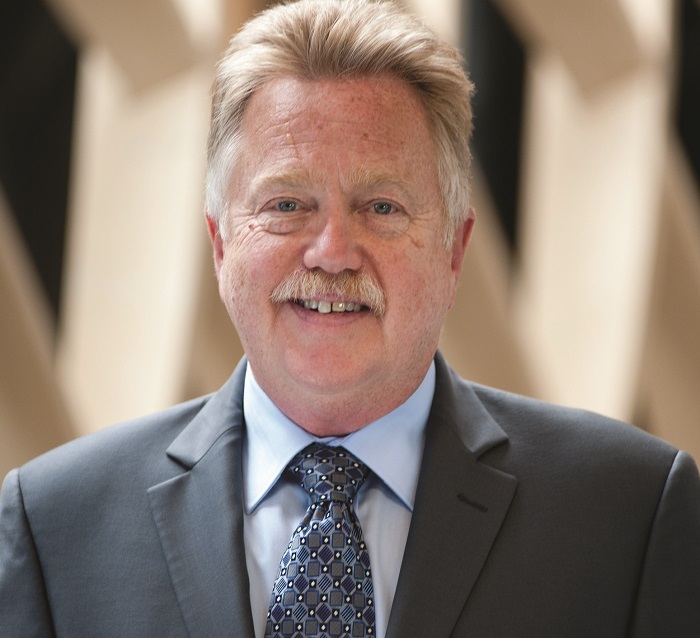 Al Cross, vice president, PGAV Destinations - At an early age, Al discovered a passion and drive to become an architect and a “maker of places,” and has never looked back. His talents include the innate ability to ignite a collaborative team in the pursuit of a common goal, consistently making “work” fun. Al is known for providing an outspoken, yet sound aesthetic judgement, and uses a hands-on style with any team. Al has studied Japanese art, architecture, and language, has played and coached hockey for most of his life. Al’s 39 years of experience has now run the gamut from hospitality, science, and restaurants, to branded destinations, zoos, aquariums, and themed entertainment – including leading PGAV to design the largest aquarium in the world - twice. Michael Blau, principal and vice president of business development, Adirondack Studios. Theatrically trained and creatively inspired, Michael leads Adirondack Studios’ business development with a commitment to producing immersive and one-of-a-kind experiences through its existing client relationships and growth in targeted markets, as well as new business ventures. He is currently serving as vice president of the TEA International Board. With an M.F.A. in Theatre Design and a B.S. in Marketing, Michael synthesizes design, fabrication and business knowledge to make sure clients are provided innovative and cost-effective theming solutions. Christine Kerr, vice president, BaAM Productions; past president of TEA - If there’s one thing that Christine sees more clearly than ever, it’s the links between categories that once seemed so far apart: themed entertainment and professional sports; for-profit and not-for-profit; the visitor experience and the user experience. During a career that has spanned multiple industries (and a couple of continents), Christine acquired this insight serving as “client/owner/operator” in world-class theme parks and attractions as well as “consultant/producer” at BaAM. It's an attitude that has served Christine well over her varied career, as well as in her various roles with TEA, which include service on the International Board, Past President and chair of the Education Committee. 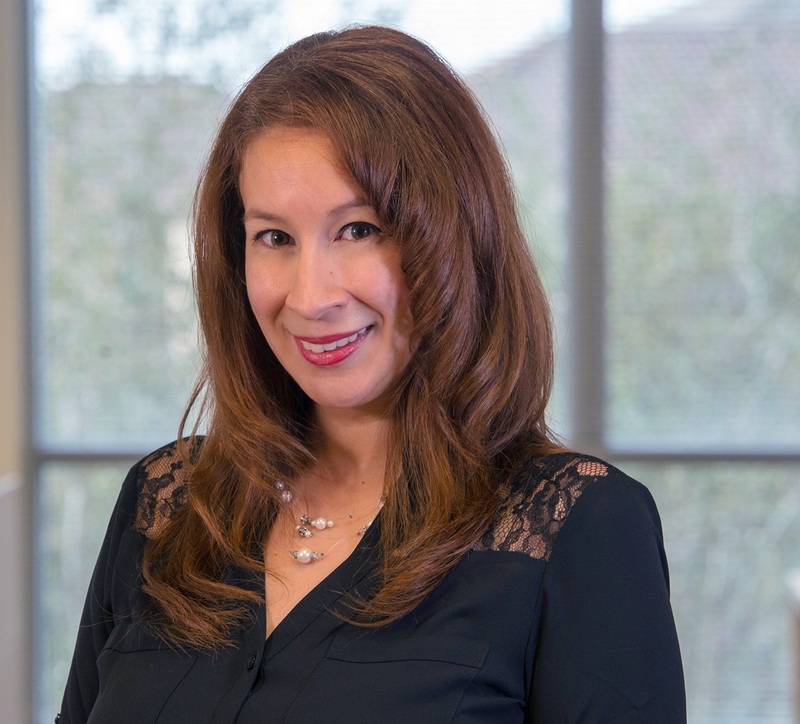 Joanna Del Moral, director business development, leisure services, BRPH Architects-Engineers, Inc. - "Themed entertainment gives us the opportunity to engage with creative clients and work alongside an array of consultants and fellow designers in an ever changing industry," says Joanna Del Moral. She has been a dedicated and active volunteer within TEA for several years in numerous leadership positions, and an upbeat presence at the many events she attends and helps organize. She currently serves on the TEA International Board and in TEA's Marketing & Communications Committee. She specializes in positioning BRPH for the next great design opportunity. This is Joanna's third year serving as co-chair of TEA Summit Day One. Steve Birket PE, VP Birket Engineering, immediate past president of the TEA International Board - Starting in Walt Disney World Entertainment three months after his 16th birthday, Steve Birket has worked as a performer, engineer, and manager for the Walt Disney Company and Universal Creative, and in the themed entertainment industry ever since. Steve holds an undergraduate degree in Electrical Engineering from the University of Central Florida and a MBA from Rollins College, and is a life-long central Florida resident. 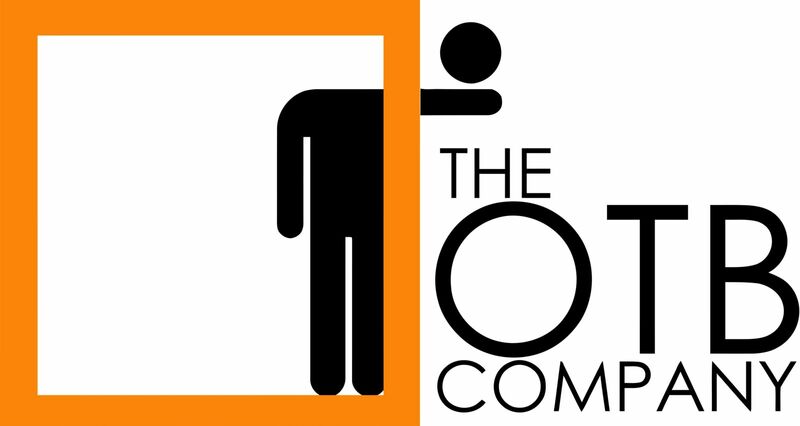 Kile Ozier - experience architect - Director, creative producer, writer and storyteller Ozier has consistently delivered shows that resonate and connect emotionally with audiences. From producing visits of heads of state, Fleet Weeks, inaugurals and civic ceremonies to massive spectacle at the national level, Ozier has built a body of work in stadiums, theme parks and theaters on several continents. Projects include 2012 Dubai National Day, Yas Waterworld Opening (2013) and, for BRC Imagination Arts, a portfolio in Dubai including Dubai Parks, The Beach, the Dubai Eye and Jumeirah Cove. His iBook, "IMHO: Creating Compelling Experience" is free via iTunes. 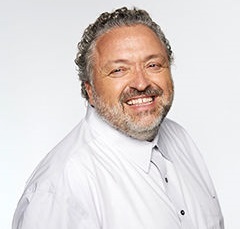 David Willrich, DJ Willrich Ltd. - TEA international president - David has more than 30 years in the industry in an extraordinary range of projects and is a well-known figure in the AV industry globally. “Technology has moved forward to provide ever increasing freedom to produce high-quality shows and dynamic visitor experiences; it is amazing, mind blowing and exciting,” he says. 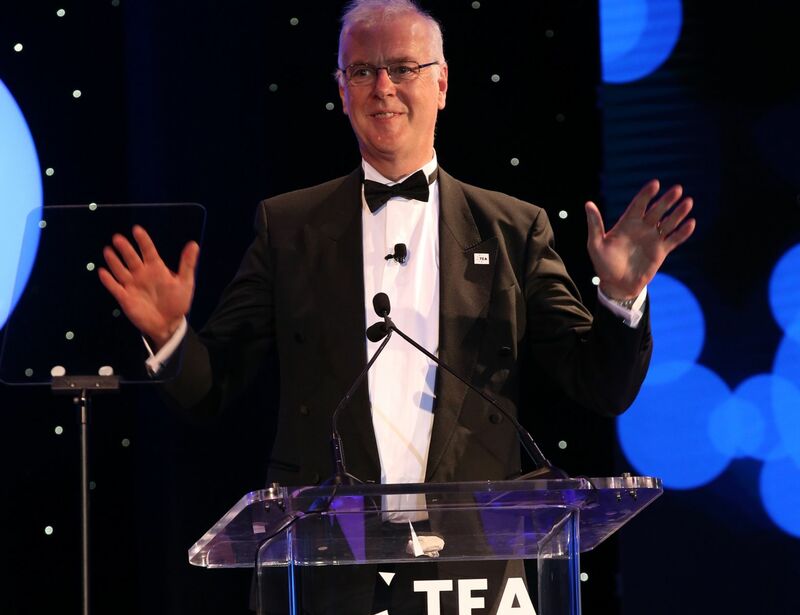 David is serving his second one-year term as TEA president. During that time, he has made international expansion and education a priority and has championed bringing the TEA SATE conference to Europe and Asia. 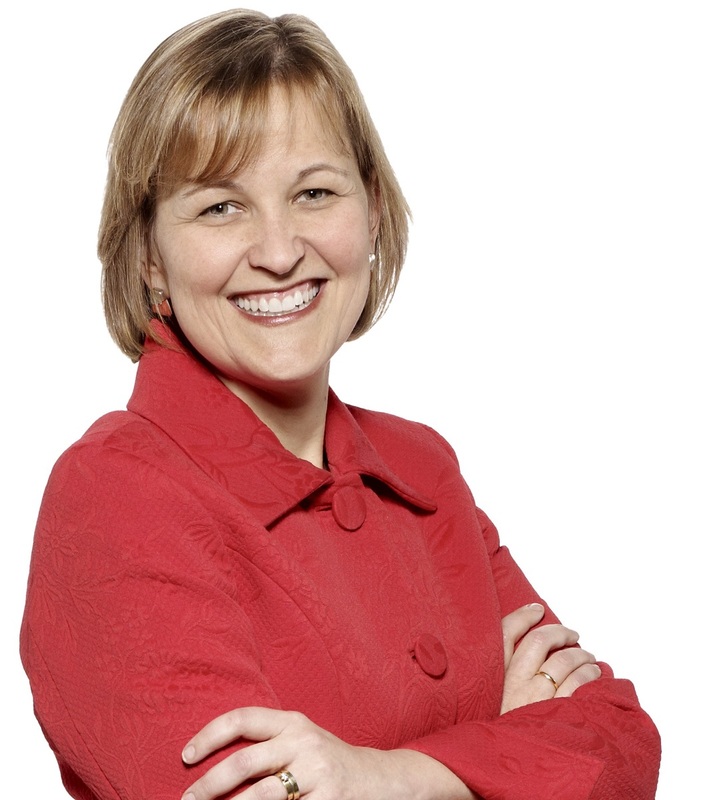 Jennie Nevin, TEA COO - Since stepping up to the executive helm of TEA four years ago, Jennie Nevin has become a familiar face and recognized leader within the attractions industry. She has helped TEA reach new milestones on many levels including membership growth, member services, brand identity, financial stability, internal organization, staffing and global awareness. 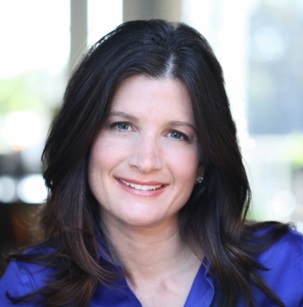 Previously, Jennie served as director of operations and development and deputy executive director for the Hollywood Radio & Television Society in Los Angeles. Based in TEA’s Burbank headquarters, Jennie’s dedication also takes her into the field to know and represent the industry first-hand. 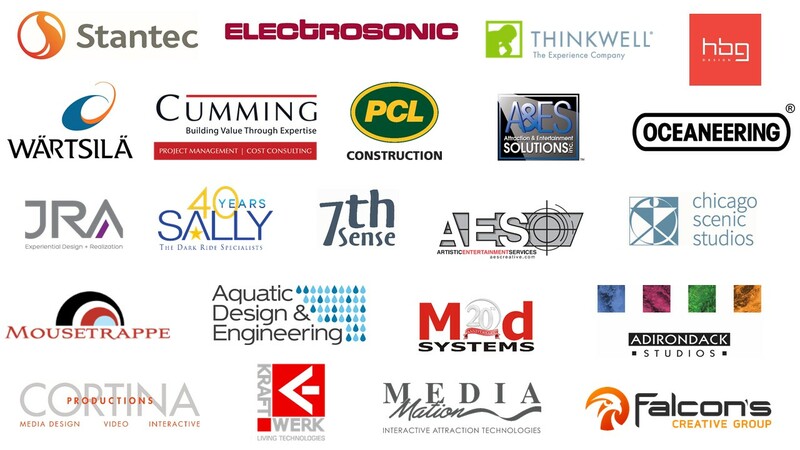 Many thanks to our Summit Sponsors!